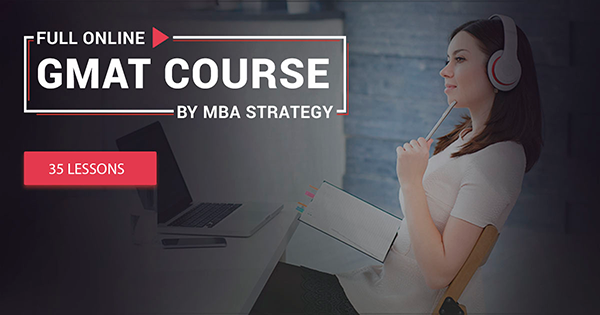 GET ACCEPTED BY TOP BUSINESS SCHOOLS WITH MBA STRATEGY! For over 11 years engaged in MBA Admissions consulting we have gained proprietary insights of what Admission Committee at every top business school looks for and how their applicants should brand themselves in order to be admitted. Our team has successfully developed and managed over 2 thousand applications through the entire process: from initial reviews and evaluation of each candidate’s profiles to personalized and scrupulous school selection processes, to rigorous interview preparation. Over 80% of our clients get admission offers attain their top choices, if they apply to three or more schools. Our access to the business schools’ admissions recent news through our partnership with top business schools’ ex-MBA Admissions Directors and MBA alumni sets us in the very center of application issues. Our experts are US top business schools' ex-MBA Admissions with long years of Director's and Assistant Director's positions and MBA Alumni, who are graduates and enthusiastic MBA expert coaches who helped hundreds of MBA candidates from around the world. No logo or other trademark owner endorses, or is affiliated in any way with the owner or any content in this website. Our relationships with the client are always personal. We need to know what you need and what you want to achieve. That’s why we ask every customer a 20 minutes’ worth of questions – but afterwards, it’s you who is going to get information from us. Dmitrii has dedicated 10 years of his life to Ukrainian and foreign education. He has helped nearly 200 students to get admitted to top business schools and universities around the world. Dmitrii is a member of AIGAC (Los Angeles), an international higher education council. He is a constant member of many education conferences in Ukraine as well as abroad. He is the author of several mathematics and English textbooks used in preparing for IELTS, GMAT, and TOEFL. As a Wharton MBA (WG'95) and an alumni interviewer, Mr. Gordin, over the last decade, has guided dozens of top candidates to successful MBA and joint degree admissions. In his primary business role, Mr. Gordin is an international merchant banking professional with over 25 years of experience providing services in the areas of export finance, risk mitigation, cross-border project finance and business development. His clients include foreign governments, state-owned enterprises, small and mid-size companies, as well as select Fortune 500 cos. He is also a published author, whose book Fluent In foreign Business and numerous articles on international business have been critically acclaimed. Over 20 clients admitted to top business schools: INSEAD, Stanford, LBS, IE, HEC, LSE, Fuqua, Frankfurt School of Finance and Management, CEIBS, EDHEC, ESMT, Mannheim, HHL Leipzig, UCL, Rotterdam (Erasmus), Birmingham, Hult, McQuarie University, Queen Mary, Olin, Kings College, University of Bristol and others. Learning about each client is like exploring Klondike to me: you never know how brilliant and remarkable people can be with their achievements, diverse interests and well-grounded pursuits. Transforming a country’s financial sector, bringing a family’s business to life or supporting disabled children as a founder of a charity fund – indeed, my clients’ aspirations can be very different, but all of them are united by a strong willingness to acquire knowledge and skills necessary to make their dreams come true. Hence my goal as an Application Consultant at MBA Strategy is to discover their treasures myself and make them shining for the world’s leading business schools’ admissions committees. This is what drives me to do as much as I can to achieve the desired results and help talented individuals to mount new heights. About 60 clients admitted to top schools worldwide: Harvard, Chicago Booth, Yale, Cornell, Tepper, INSEAD, LSE, Cass, UCL, St.Gallen, IESE, IE, NUS, Sauder, McGill, Queen's etc. Having experienced all rigorous application processes myself: from passing TOEFL and GRE to getting recommendation letters and writing essays, - I know what our clients feel, think and expect. Having accomplished a Master’s degree and a lot of internships abroad I have got a good insight of how to turn applicant’s expectations into multiple career prospects with top MBA education. I believe education is the best possible investment, and that is why I value my consultant’s work at MBA Strategy so much. Communication with clients, who share their unique experience and life path, develops me as a person, opening new horizons and discoveries for me. Through a thoughtful process of brainstorming I am excited to witness my clients’ personal growth: they begin believing in themselves, setting rightly up their priorities and recognizing their achievements and advantages. Most importantly, our meticulous application process results in transforming their dreams to reality. Over 30 clients admitted to top business schools: Stanford, INSEAD, LBS, Chicago Booth, IE, IESE, Duke, Marshall, LSE, Oxford, Manchester and others. I am excited to be a member of the vigorous consultants’ team and assist our MBA applicants in achieving their professional goals through top-notch education. Having combined my international business degree with the high-level expertise of the company, today I am pairing with my clients in their strenuous, yet so important application process. What I enjoy the most is the impact I make on their successful admission. In 2012-2015 clients admitted to: Stanford, Wharton, Berkeley, Columbia, Chicago Booth, INSEAD, LBS, IMD, IE and other schools. Best thing about MBA Strategy: "Its clients. Each client has his or her own story to tell" Favourite book: "«The Gift» by Vladimir Nabokov"
Surprising fact: "Used to teach English to Khmer kids in Cambodia"
My path to MBA Strategy was long. I did many things before: translated books from German, assisted Philippine entrepreneurs to conquer Russian market, taught English to Cambodian kids and many others. Having moved to Moscow, I met MBA Strategy team. Back then, my inner sense prompted it was my team and my company. Since then my consultant’s work brings me something new to learn every day. My clients’ stories, with their joyful or tragic experiences, keeps me thinking. What inspired me most as a consultant is witnessing my clients as alumni of top schools, who move forward and really change the world right in my sight. Clients admitted to: Columbia, Duke Fuqua, Kellogg, Cass, LSE, IMD, IE, Chicago Booth, John Molson, Berkley Haas, Rutgers, Munster University, Hult. Motto: "Never, ever give up"
My team of consultants at MBA Strategy is dynamic, flexible and valuing its unique clients. That is what makes me be proud of my job and enjoy living out of my comfort zone. Our consultants’ family is very close-knit, available 24 hours a day, when one of the members needs his/her help or advice or support. They are always curious of each consultant’s progress and develop their branded approach to help our clients. Over 30 Clients admitted to top business schools: Harvard, MIT, Yale, INSEAD, Duke, UCLA, Tepper, PennState Smeal, Johnson Cornell, Olin, Emory, Simon Rochester IE, Oxford, HEC, IMD, ESADE, , Mannheim and others. Over 40 clients admitted to top business schools: Chicago Booth, NYU, Babson, LBS, INSEAD, IESE, ESADE, IE, SKEMA, Cass, Oxford, Henley etc. Bringing positive changes and assisting in what I can do best is what attracts me in my job at MBA Strategy. Competition and self-development are features which I meet there every day, while communicating with my clients. The opportunities that a consultant’s work offered me became the greatest advantage to quit my 10-year lawyer’s career. Appreciation and rewarding words from my clients make my really happy. I am thankful to my team of consultants and my clients for inspiring me to scale new heights in my professional and personal growth. We offer 2 options for packages, Competent and All-In ones, to assure the most comprehensive preparation to business schools’ admissions and real-life coach and recommendations by our ex-MBA Admissions’ Directors and MBA alumni. Get our MBA Alumni expert opinion on your documents and online form before finalizing the application process. Be sure you have done everything to make your brand strong, attractive and appropriate. The Test Run comprises 1-hour one-to-one conversation with one of our MBA Alumni and a bonus written feedback. one-to-one session with our MBA Alumni, which is a great opportunity to test your communication skills, practice your answers and reduce the stress by a real-life conversation with one of our MBA Alumni. Additionally, you will get a written feedback with the evaluation and final recommendations/advice on how to improve your answers. dreams of getting into top business school programs. It is vital for our experts to get to know you as well, as possible. Thus let them see all the facets of your personality, highlight your strengths, diminish your weaknesses and present your accomplishments. This will help us to create your package and brand you correctly and put you on a path to realizing your professional dreams. Learn how to make your application package stand out at every school to which you plan to apply. Explore your MBA admission opportunities today by filling out our questionnaire and taking a 30-minute free consultation with one of our consultants. Be sure to have enough time before consultation to answer all the preliminary questions via email to get a thoughtful and productive advice during your Skype 30-minute consultation with our application evaluation professionals.